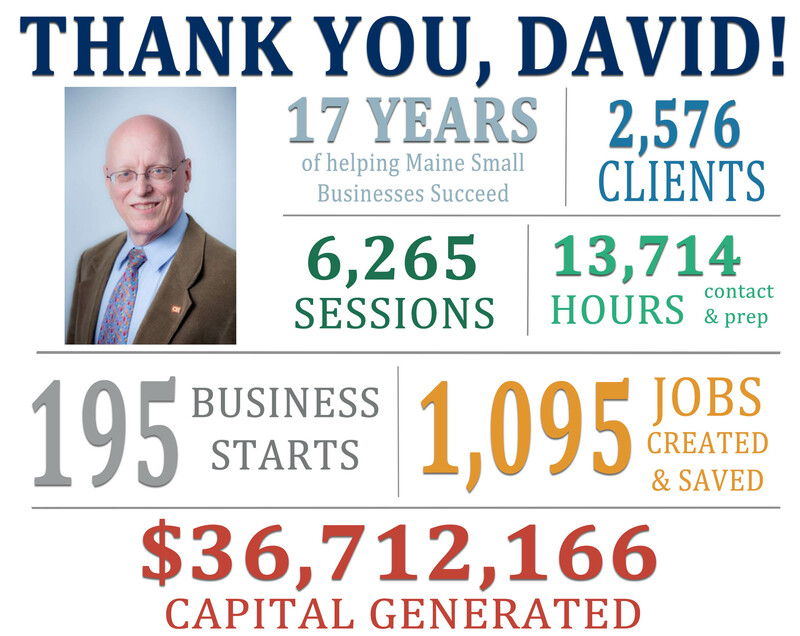 As a center director and business advisor located in our Wiscasset office, David has been an integral part of the team for the last 17 years. He’s helped 2,576 entrepreneurs and small business owners to start 195 new businesses, save or create 1,095 jobs and obtain nearly $37 million in capital to start and grow their businesses. He’s is known for his knowledge in marketing, cash flow projections, and aquaculture business development. He’s worked with businesses such as David Jacobson Glass and Joe Lane Lobsterman.